When we launched Dr. Link Check as a free service almost seven years ago, it was meant as a quick prototype. 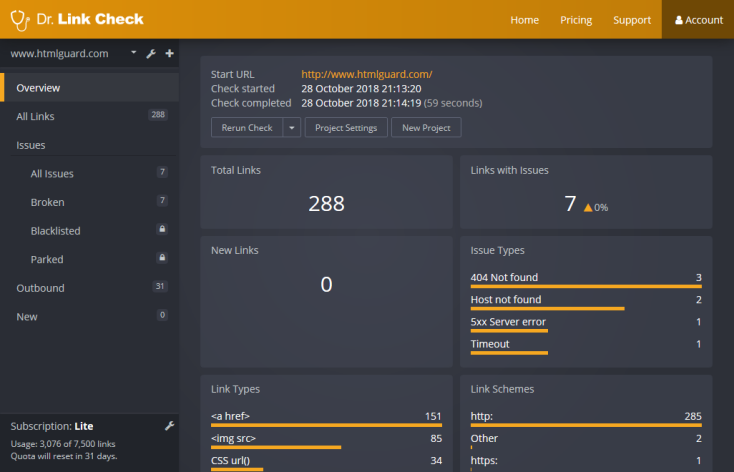 We liked the technical challenge and wanted to test whether there was a market for a broken-link-checker tool. Feedback to the launch was very positive, and we promptly received emails asking about a paid version with additional features. You know you are on to something when people proactively approach you willing to hand over their hard-earned money! Despite the encouragement, we didn’t act upon it. We were simply too busy with other projects; most notably, our wireframing and prototyping tool PowerMockup. 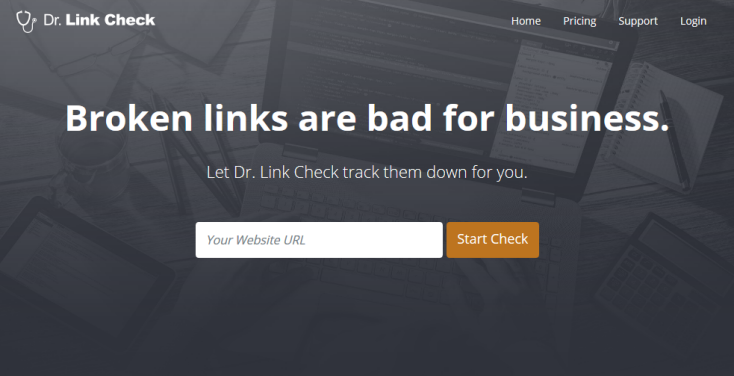 Dr. Link Check ran more or less in auto-pilot mode and received little to no attention from us – until last year, when we were approached about selling the website. That reminded us of the potential of the service and gave us the impulse to start working on it again. 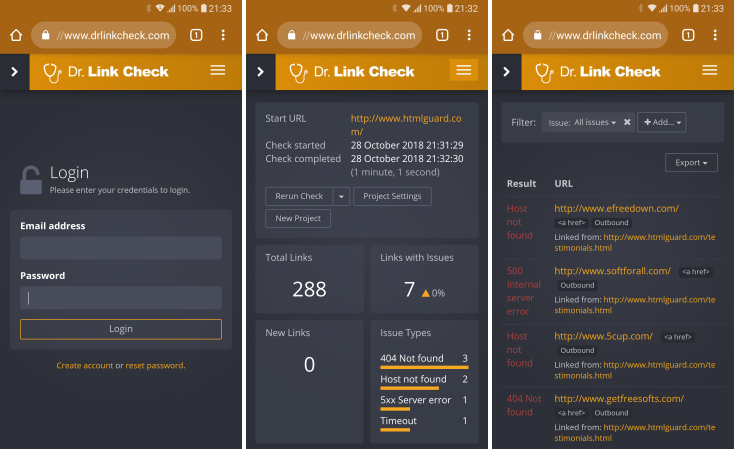 Today, we are officially launching Dr. Link Check 2.0. We have rebuilt the service from the ground up, with many exciting new features. We are really proud of the outcome. We would love it if you could head over to the home page and give it a try! 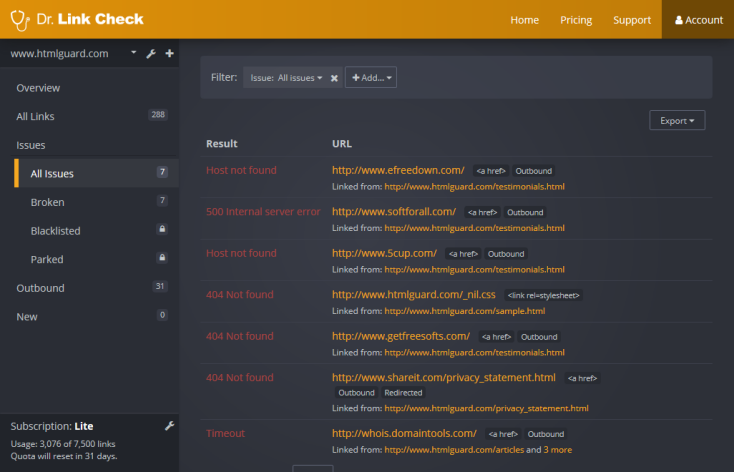 filter results and create custom reports based on properties like URL, HTTP status code, link type, etc. Also new is the “Overview” report that gives you a nice visual summary of the results of a link check. Another thing you may notice is that the website is now mobile-friendly and can easily be used on any device. We hope you enjoy the new version. If you notice any problems or have any suggestions, please let us know.